Ten years after STARGATE SG-1: Fragile Balance, General Jack O’Neill has a problem. His clone, created by the rogue Asgard, Loki, has gotten into trouble — and drawn the attention of Homeland Security. 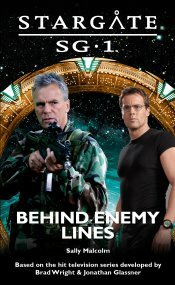 But when Daniel comes up with a radical solution to keep the young O’Neill out of the hands of the authorities, General O’Neill must decide how much he’s willing to risk to save one angry young man. And his clone must decide how much he’s willing to trust the friends who walked away from him ten years earlier.